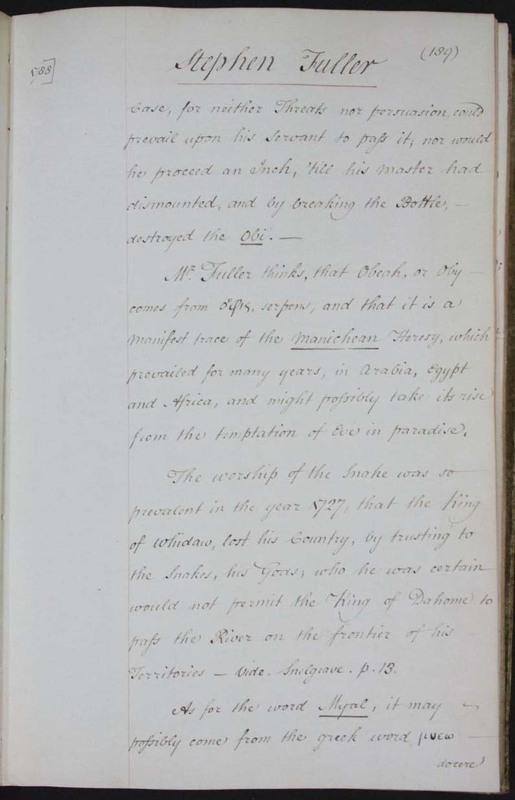 One of the most frequently repeated stories about the practice of obeah—at least in printed sources–first appeared in material presented to the British parliament in the late eighteenth century. The story, which we refer to as that of the ‘Woman of the Popo Country’ was much re-used and re-told in later generations. 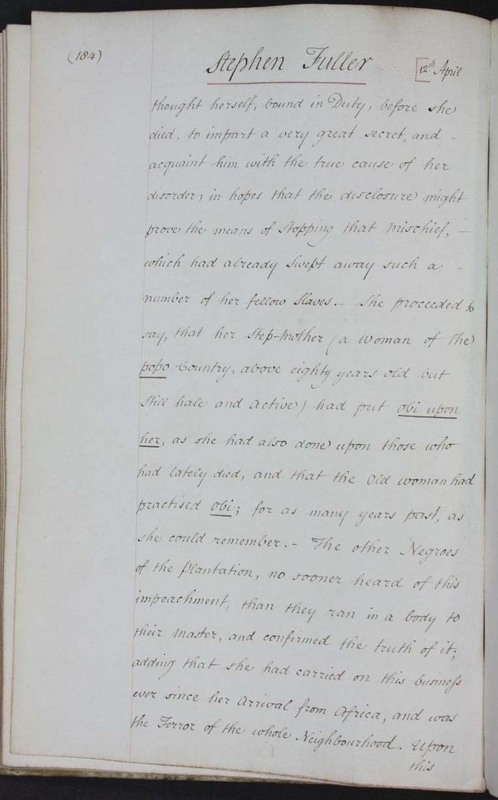 The story was said to represent a specific and real individual case, and probably drew on real events that took place on a particular plantation, but may well have been embellished by its tellers. 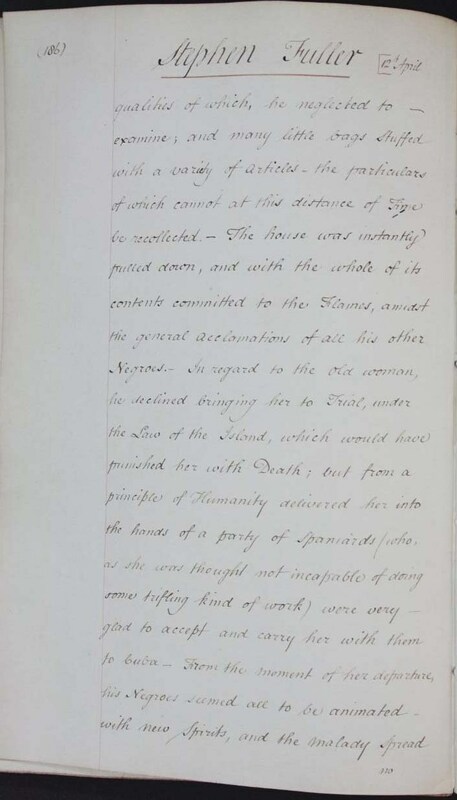 The events recounted in the story of the ‘Woman of the Popo Country’ involved the practice of obeah on a Jamaican plantation, and its ultimate destruction by the plantation owner, who is presented as benevolent. 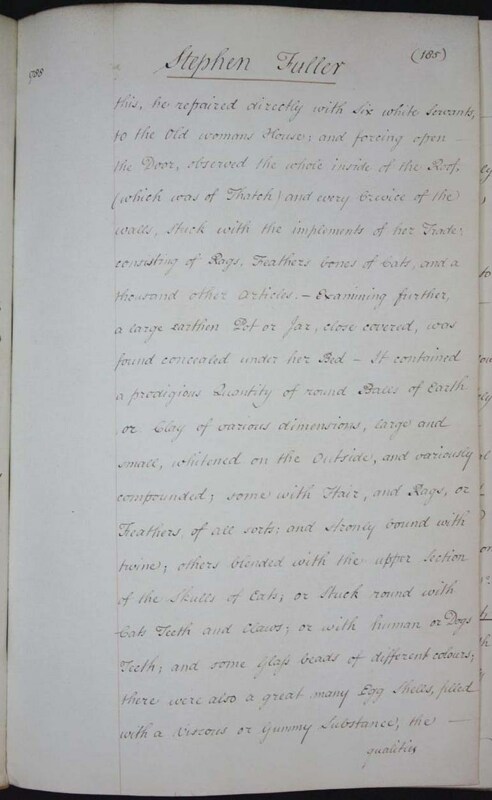 According to the narrative, an unnamed English slave owner returned to Jamaica in 1775 after a trip away. He found that many of the enslaved people on his plantation had died. Although he provided medical treatment, many continued to become ill and die. This sickness and death continued for about a year, and he began to suspect that it was caused by obeah. 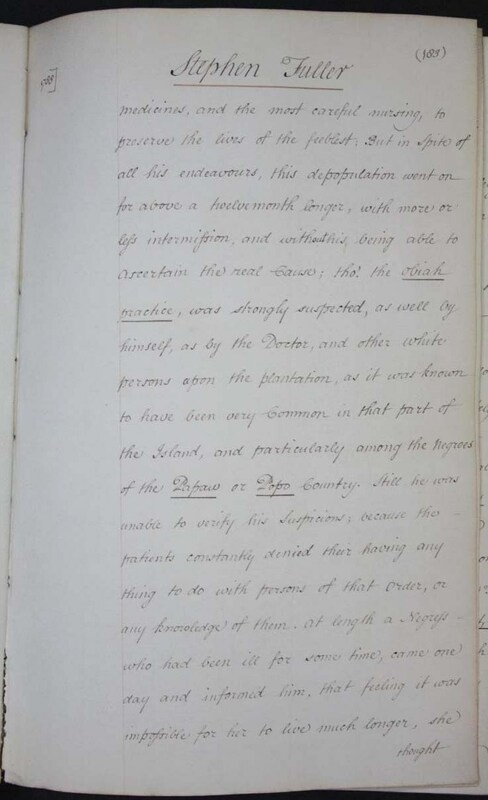 An enslaved woman, who had herself become seriously ill told the plantation owner that her step-mother, who was a woman ‘of the Popo country’ (Dahomey), had caused the sickness by practising obeah. Her account was supported by other enslaved people on the plantation. In response, the planter ordered six white servants to search the woman’s house, where they found various ‘implements of her trade’. The planter, with his suspicions of obeah confirmed in his mind, ordered the woman’s house to be pulled down and her possessions burnt. She was then sold to Spanish slavers who took her to Cuba. After this the plantation prospered, and the illness disappeared. The story has similarities in its themes and structure to folk tales, but was presented to Parliament as a true account of specific event. 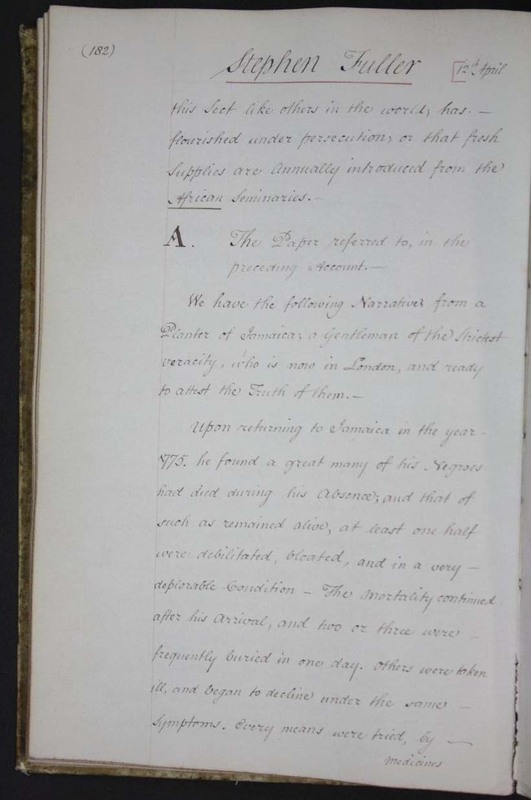 It was first published as part of the Jamaican evidence presented to the first British parliamentary enquiry into the slave trade, as the evidence of ‘a Planter in Jamaica, a Gentleman of the strictest Veracity, who is now in London’. 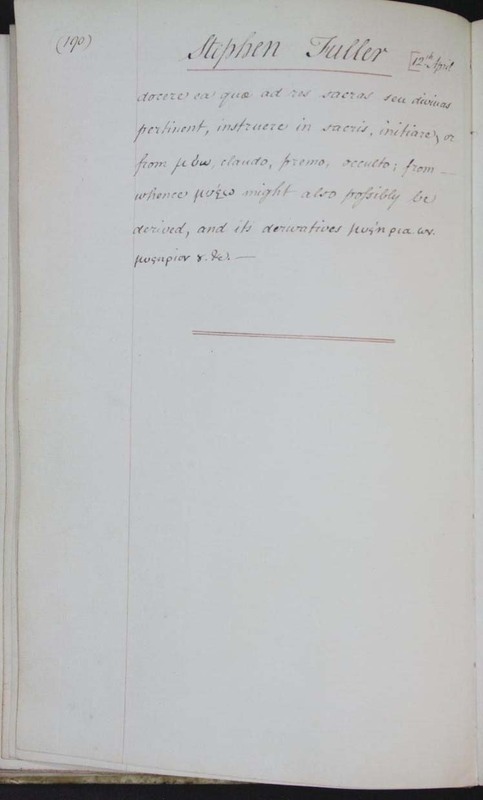 This inquiry was carried out in response to the growing anti-slavery campaign during the late eighteenth century. 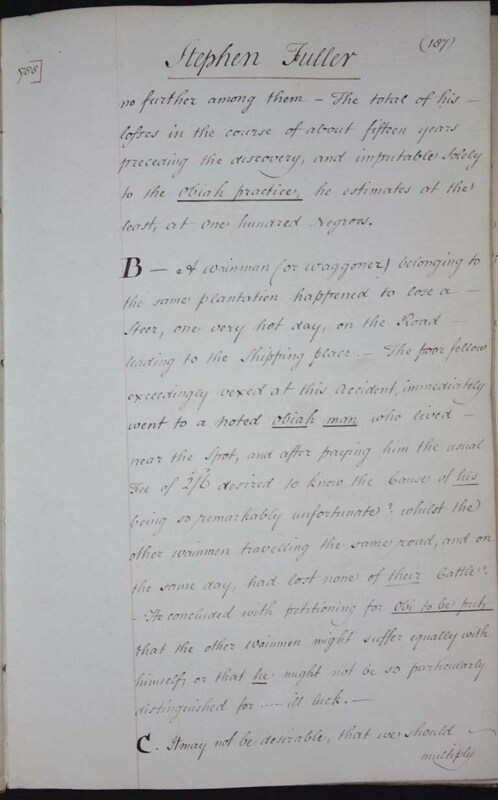 The submissions by pro-slavery advocates were designed to show that the trade was not harmful and that Africans were degraded and needed moral uplift which the planters could provide. Jamaican planters introduced the topic of obeah into the evidence in response to questions about the health of the enslaved. They argued that high death rates and low birth rates among enslaved people could be attributed to factors such as obeah, rather than directly to the overwork, exhaustion, poor nutrition, and violence experienced by slaves. The story of the Popo woman was a particular vivid example of the attribution of responsibility for enslaved people’s death to slaves themselves. This story should be understood in the context of British ideas of witchcraft. It centres on an woman who is presented as similar to a traditional European witch: she is old, isolated, and malevolently harms those around her, including members of her own family. It must also be seen in the context of Jamaican planters’ fears about the limits of their own control and authority within the plantation, as well as in the context of contemporary British debates about slavery and anti-slavery. Jamaican planters, more than those in other parts of the Caribbean at the time, wanted to portray Obeah as an ever present and increasing threat. Much like later mythical stories of zombies in Haiti, their accounts of obeah caught the public imagination. 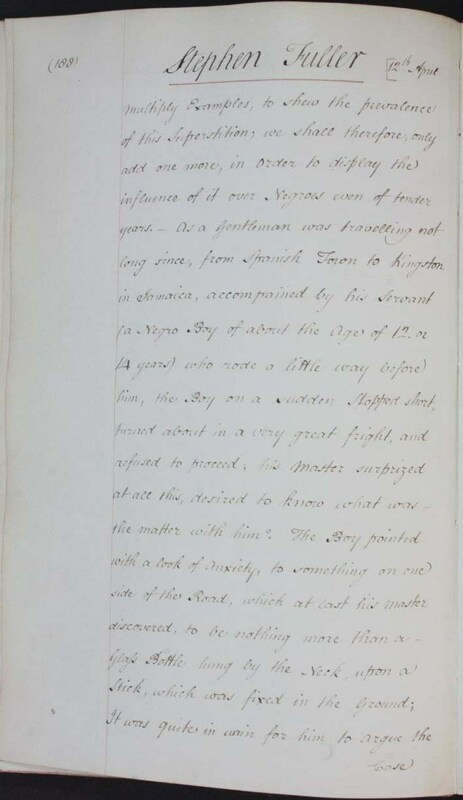 The ‘story of the Popo woman’ was reproduced in many sources, most significantly Bryan Edwards’s History, Civil and Commercial of the British Colonies in the West Indies. It influenced representations of obeah in British fiction and drama in the later eighteenth century and nineteenth century. The obeah women in plays and novels about Three-Fingered Jack, and in Maria Edgeworth’s Belinda, were influenced by the story of the Popo woman.